1966 Edinburg UFO Incident | Edinburg Out of This World! Report on Edinburg UFO Incident from KRGV-TV in Weslaco, Texas. Click Here. Below is the full report on what happened. Location: Farm to Market Rd 490, approximately 4 miles west of U.S. Highway 281. In October or November of 1966, J. R. “Milo” Ponce, a deputy sheriff with the Hidalgo County Sheriff’s Department, received a phone call at around midnight from the sheriff’s department dispatcher, George Rapp. The dispatcher stated that someone had called in to report a group of “disturbed” men standing alongside Farm to Market Highway 490, north of Edinburg, Texas, near Laguna Seca Road. The eight men, who were digging a gravel pit in the area for a company out of North Texas, were greatly agitated. They were yelling and screaming for help alongside the road. A motorist must have seen them and then driven them to a nearby truck stop, from where they called the sheriff’s department. 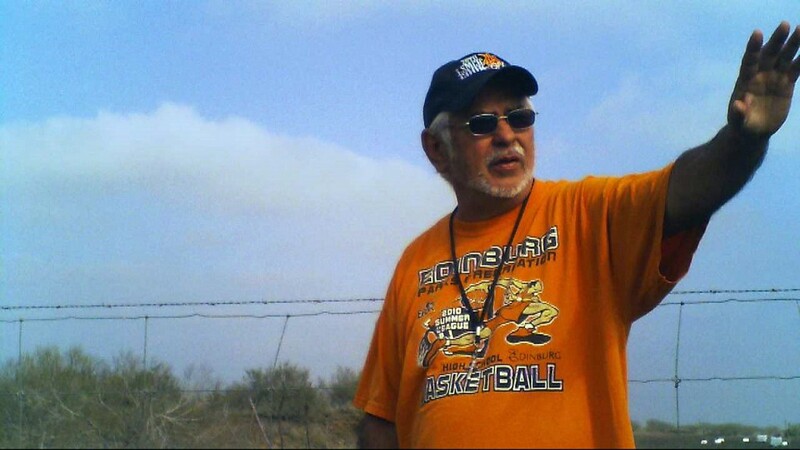 The site in question is a ranch located approximately four miles west of Highway 281, owned at the time by Samuel Gonzalez, now deceased, and now owned by Mary Moya. The charred and burned area was about one quarter mile into the ranch next to some very large gravel pits. The pits were being dug out by a crew of eight men from north Texas. The men, who were all “Anglo” and whose identities are not known, were “roughneck” types. All of them told the same story of that eerie night. One of the men had been so frightened that he urinated in his pants. The men were later taken to the sheriff’s office, where they were interviewed and then allowed to spend the night. They told sheriff’s deputies that they would never return to the site of the incident, and they reportedly left town the next day, happy to escape with their lives. The workers told deputies of having seen bright lights in the sky and of hearing a loud humming or throbbing sound. They also experienced sudden, strong winds on an otherwise calm night, and they saw flames shoot down out of the sky, presumably from one of the UFOs that had been previously seen hovering in the area. The beam of fire set ablaze all the surrounding area, including their vehicles and their mobile home. 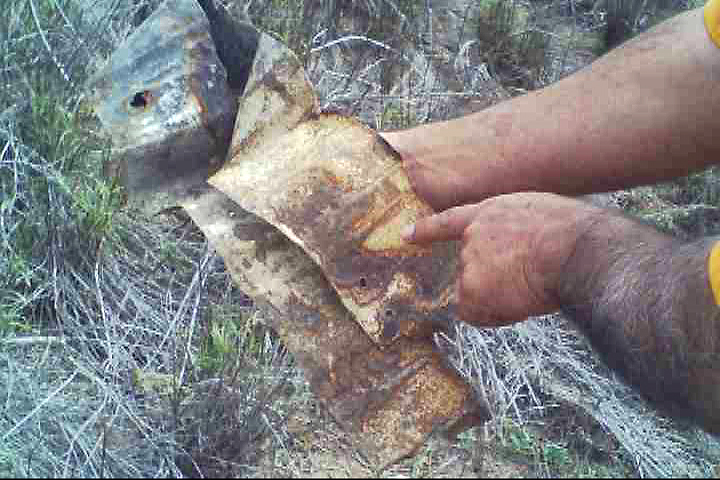 A local resident, known as “Manito,” who lived near the caliche pit, reported seeing a “cigar-shaped object” that hovered over the field that night. Manito had seen this and other bright lights hovering over the surrounding fields prior to the night of this incident. The gravel pit workers themselves stated that they had seen strange lights hovering around the area on other occasions, prior to the night of the fire. 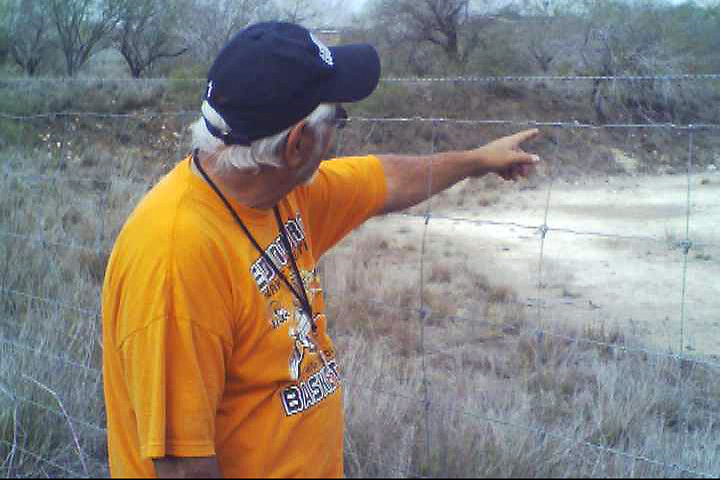 Spanish-speaking people who lived near the area called these eerie night lights “La Luz del Llano,” which in English means “the light in the fields.” According to Joe Ponce, this area has been known for years as the site of strange phenomena. Firefighters eventually arrived at the scene of the fire, but by the time they got there, the flames had mostly died out. 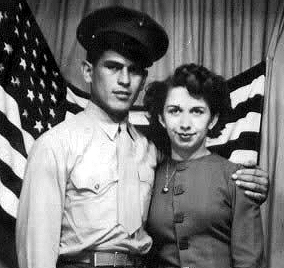 Ponce’s dad said that, on the following morning, he and another deputy returned to the scene and found everything, including the crew’s sleeping quarters, destroyed by fire. Joe Ponce says that Sheriff E. E. Vickers told his dad that he had been approached by two men dressed in military uniforms asking to see the report about the incident. 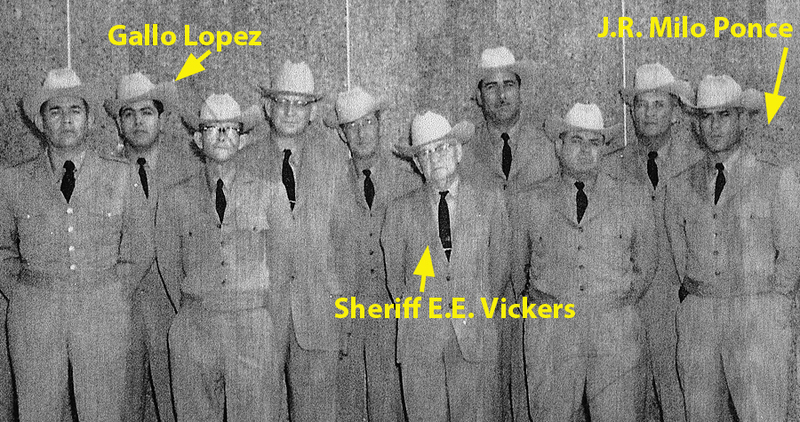 Vickers, a resident of Donna, Texas, was the county sheriff from 1955 to 1969. Apparently, Vickers thought the men might have come from Moore Air Base, which is located about six miles southwest of the site where the incident happened, but the base had been closed by the Air Force in 1961 and was no longer a military institution at the time of the incident. “No more was ever said of the incident and my father never spoke about it anymore,” Ponce says. His father later became captain of the Highway Patrol and then ran for office and was elected county commissioner for three terms. He is still remember for his many years of service, and the county honored him by naming a park after his retirement and death. The park, called J. R. “Milo” Ponce Memorial Park, is located 8 miles east on Highway 2812, in the Hargill area.